P272 is a mandatory industry change made by Ofgem that affects meters in the 05 to 08 profile class (known as max demand meters). If your business has one or more of these meters, it must be reconfigured to a new way of billing called Half-Hourly (HH) settlement. 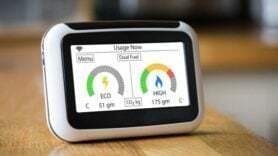 Chris Toole, Market Segment Manager at Utilitywise said: “Energy suppliers haven’t exactly hidden the benefits of pass-through contracts compared to an all-inclusive or fixed tariff, but neither have they made them entirely clear.